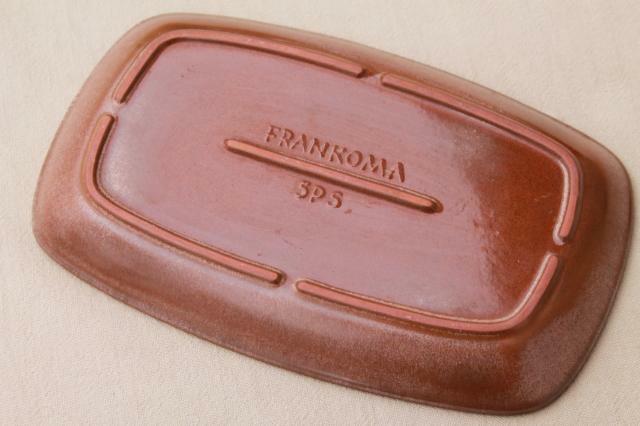 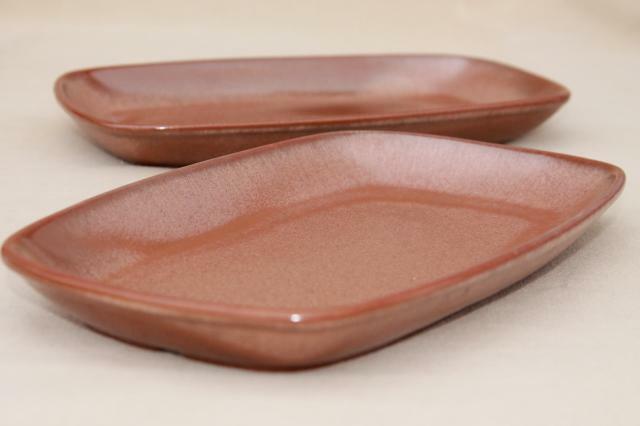 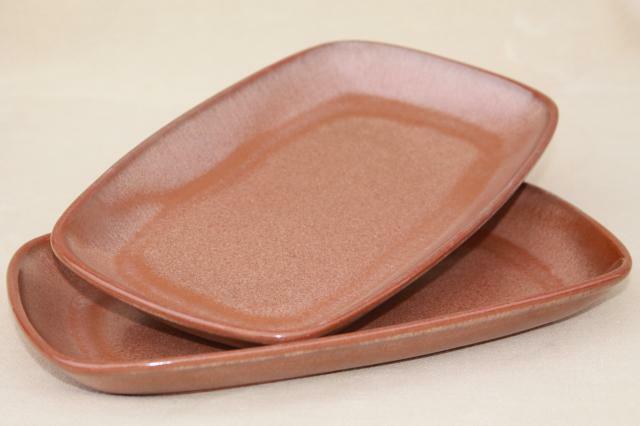 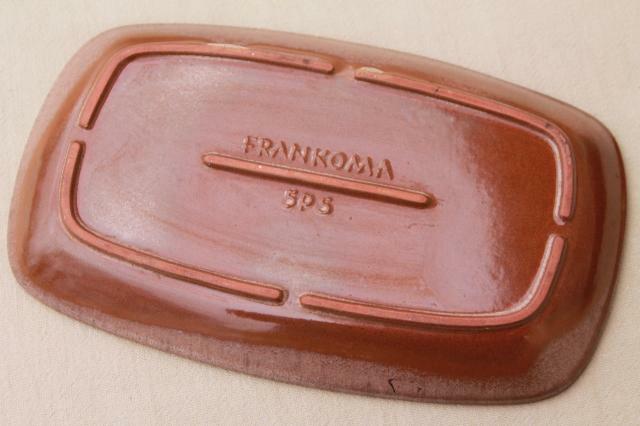 Pair of vintage Frankoma pottery platters or oblong plates, about 9 1/2" long. 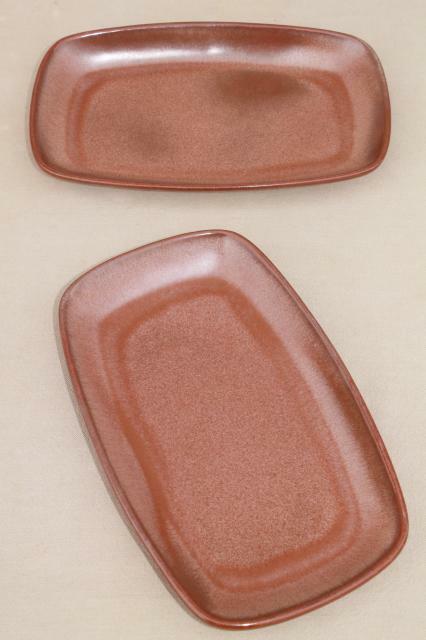 These are both in very nice condition without damage, showing little if any wear. 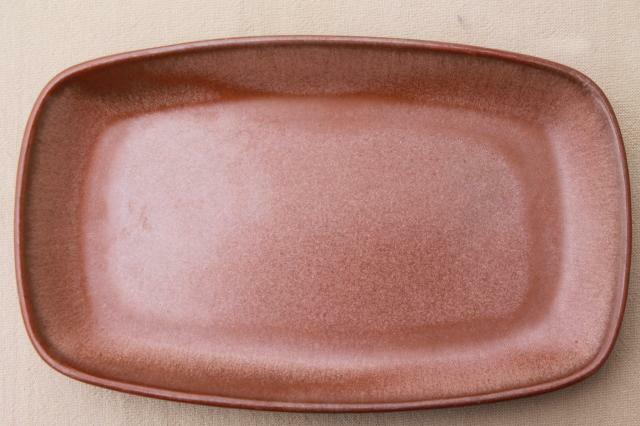 These are the Plainsman brown glaze, I believe? 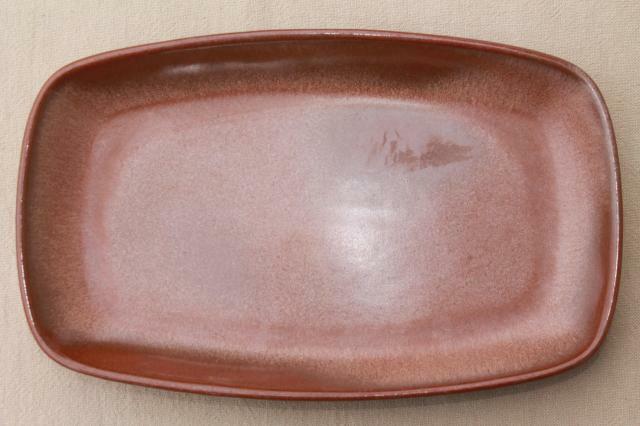 The clay is visible at the foot on the bottom, but I'm not really familiar with the different ceramic clays, sorry!